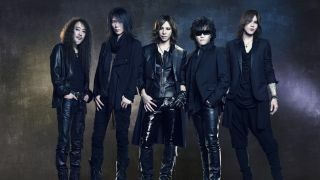 X Japan drummer and keyboardist Yoshiki will undergo emergency surgery on May 16 in Los Angeles, it’s been announced. Known for his bruising and intense live performances, Yoshiki suffered a herniated disc six months ago which has since worsened, leaving him no option but to have cervical artificial disc replacement surgery. A statement from X Japan’s management reads: “As a result of Yoshiki intense drumming style and the impact it has had on his physical health, he was diagnosed with cervical foraminal stenosis in July 2009, and then underwent a cervical laminectomy and a cervical foraminotomy. “After suffering from a herniated disc that has worsened over the past six months, Yoshiki has experienced symptoms including numbness and severe paralysis of the left hand and arm, which have since been affecting his musical performances. Dr Tommy Tomizawa adds: “Yoshiki’s symptoms reappeared at the Visual Japan Summit festival. By the time he performed in January at New York’s Carnegie Hall, he had already lost the sensation in his left hand. “The symptoms worsened this March following the UK Wembley performance, but he continued recording. Even in his condition at that state, Yoshiki stated that he wanted to see things through to the end. As a result of the surgery, the band have been forced to cancel all their remaining shows throughout 2017.